Just over a month ago, Imagination Technologies dropped the bombshell announcement that their largest customer, Apple, would be phasing out their use of Imagination’s GPU IP in their SoC GPU designs. Specifically, Apple expects that they will no longer be using Imagination’s IP for new products in 15 to 24 months. This put Imagination in a significant pinch, as Apple is a full half of the company’s overall revenue and 69% of their GPU revenue. As a result, Imagination stands to lose of their GPU revenue starting two years down the line. At the time the company announced that they would be engaging with Apple to discuss “potential alternative commercial arrangements” to the companies’ current agreement, and now a month later, Imagination has published a further update on that. Discussions in the last month have not made what Imagination considers satisfactory progress, and as a result they are escalating the discussion to go through the dispute resolution clause of their current contract. Just what this will entail is unknown since the contract isn’t public, but as Imagination so delicately puts it, they’re seeking to reach an agreement with Apple “through a more structured process.” It’s unknown what will happen if this process fails, but for the moment it does not appear that a further escalation is off the table. If nothing else, Imagination will have the option of taking Apple to court for patent and IP violations once the current agreement expires. Though the company is also making it clear that they’d rather not go that far; it’s hard to imagine Imagination wants to go toe-to-toe with the richest company in the world, especially once their revenue takes a significant hint. Meanwhile in Imagination’s bombshell of the month, alongside today’s Apple update, the company is also announcing that they are going to be refocusing the company to focus entirely on the GPU business. To that end, the company is putting their remaining non-GPU businesses – the MIPS CPU business and the Ensigma communications business – on the market. Imagination is not listing an expected price for either business at this time – or if they have already lined up any suitors – but the company believes that given the improved fiscal performance of these two divisions, that they are in a good position to sell the two divisions. 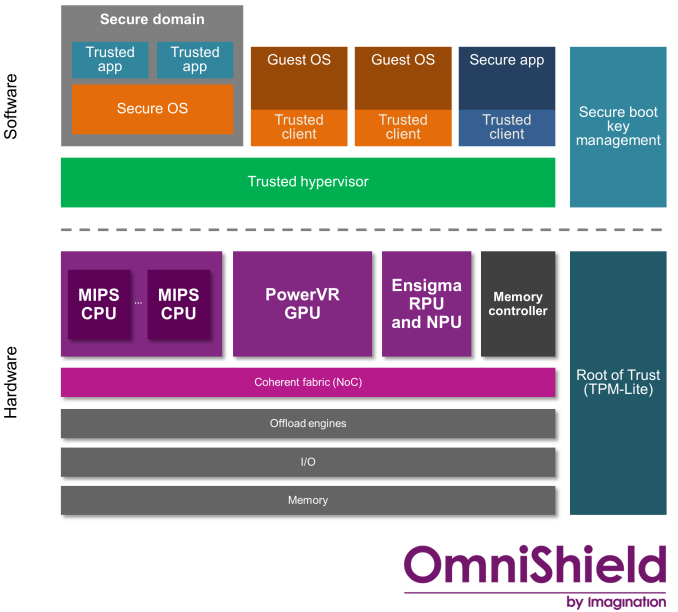 MIPS and Ensigma have been two of Imagination’s major efforts to diversify the company away from their original core business of GPU IP. MIPS was acquired by Imagination for $60M in 2012 – about 4.5 years ago – while Ensigma has been part of the company since the turn of the millennium. MIPS in particular has been a long-running architecture in the embedded space, and along with x86, is the other alternative CPU architecture supported by Google’s Android OS. So the news that the engineering team and product portfolio behind the #2 architecture in mobile and embedded are being sold is a major development. MIPS and Ensigma join Imagination’s Pure business, which is also in the process of being sold off. In announcing this latest sale, Imagination noted that they are doing this to strengthen their balance sheet. At the risk of reading too much into a short fiscal statement, this doesn’t sound like a move that they are making with gusto, but rather something they have to do to save the company. Selling these divisions means that the company’s efforts to diversify have failed, but given their situation, it appears that focusing on their core competency is their best bet. Still, it does risk certain efforts in the long-term, such as Imagination’s OmniShield virtualization security technology, since that was a synergy play between owning both CPU and GPU IP. As for Imagination’s GPU business, the sale of MIPS and Ensigma means that Imagination will be transitioning to a pure-play GPU IP provider. The company continues to develop new IP here, including the recent Furian architecture, so they have products. The question that remains is how they will survive (and ideally thrive) a post-Apple world; even if the companies sign a new agreement, Imagination’s fate is going to be based on how well they can sell GPU IP to the remaining SoC vendors, particularly in the STB and Android mobile spaces. With all other businesses in the process of being sold, the fate of Imagination’s GPU business will determine the fate of Imagination itself.